Rangers forward Borna Barisic believes his team are ready and well prepared for the two huge Scottish Premiership fixtures coming up, one against Aberdeen and the other with Kilmarnock. The Croatian is confident of getting positive results against both teams and believes that a win in those two will give his side a huge confidence boost. The coming week has been tagged by some fans as a “season-defining week” and Barisic seems confident that his Rangers side will come out of both fixtures unscathed. 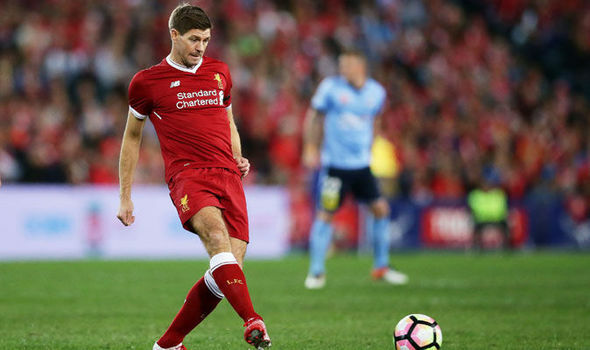 The two huge games will be coming up for Steven Gerrard’s charges over the next six days and the former Liverpool midfielder has got his Rangers team training hard in preparation for the games. Cameras caught up with the Rangers squad during their last training session and the training has been pretty intense, as they hope for all six points from both fixtures. Steven Gerrard is on the hunt for his first taste of silverware in his managerial career for the first time of asking as Rangers continue to push for the Scottish Premiership title this season. They currently occupy second place on the table. Rangers travel to Aberdeen on February 6 for the first of the two huge fixtures against Aberdeen, a game which will be very crucial in the chase for the Scottish Premiership title. After the game in Aberdeen, “Gerrard’s men will then travel to Rugby Park to face another huge rival Kilmarnock in a Scottish Cup last-16 match up“. The Scottish Cup presents Gerrard with a realistic chance of tasting success this season.Barisic is aware of the importance “of the upcoming matches“ and remains upbeat about their chances of winning both games. He revealed that confidence is high in the Rangers dressing room and that the players are itching to get on the pitch to play football.